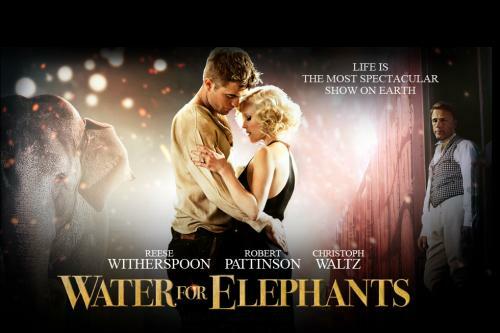 Water For Elephants  – really want to see this! Regular readers of my blog can be forgiven for thinking that, at 25, I am starting to have something of a mid-life crisis. First I went off and reviewed the Bieber movie, and now I’m shouting from the rooftops that I really want to see a film that stars Robert Pattinson… even I’m a little concerned heh! The good thing about the casting of Pattinson, for me, is that I never saw him in any of the Twilight movies, so don’t have this preconceived notion about how he’s going to appear in a film. Sure, I’ve heard everyone else’s views, but this film is clearly a substantial break away from the screaming teen vampire market, and it’ll be nice to be able to judge his performance based on a fresh slate I think. From the look of the trailer, he actually looks to be very capable in this more adult role! Bit of an unusual storyline (the film is based on the best-selling book by Sara Gruen), which is what really sells this film to me, and it’ll also be fabulous to get to see Reese Witherspoon back on our silver screens – hurrah! Oh, and just as a side note, the music on the trailer is sublime!!! Best bit of film music that I’ve heard since Daft Punk did their stuff for Tron: Legacy! Nick Cave at his finest imo – have posted the full song below the trailer. Water for Elephants is scheduled for release at the end of April 2011.